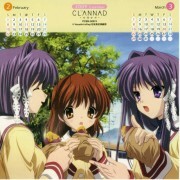 Features Furukawa Nagisa, Fujibayashi Ryou, and Fujibayashi Kyou from the anime Clannad. Not my scan; credit to kizakura2002 from Animepaper. Loo~ng time no see, another HD scan from hikari-chan! 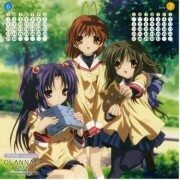 I love Ryou-chan in middle! How rare she's in scan gallery! Nice, Kyou in a maid uniform. Now all she needs is glasses. Im out of words, either its cute or lovely. I think this scan is self explanatory. I would sure like to get taste of that. 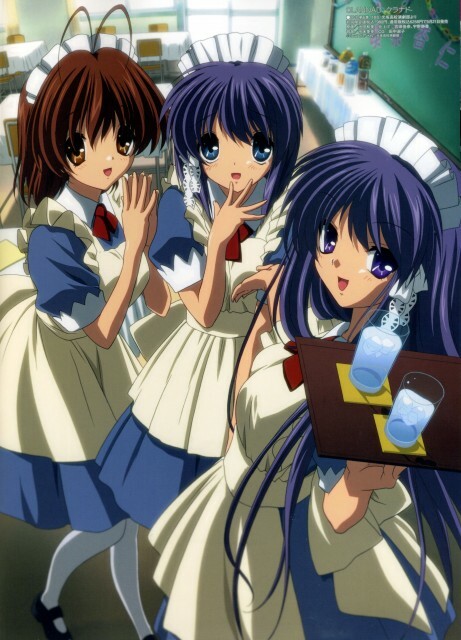 aww love them in maid outfits. thank you!